Until recently, what I knew of Elizabeth Taylor was that she had been married 8 times to 7 men and had been close to my childhood idol Michael Jackson. 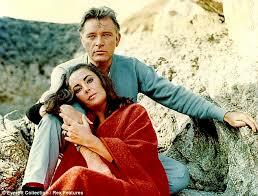 What I knew of Richard Burton was that he was Welsh, a great actor and a drunk. 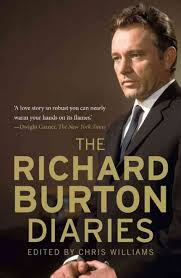 But my interest in this ultimate celebrity couple was only properly sparked earlier this year by articles I read in magazines and Sunday supplements and then from a film made for BBC4 starring Dominic West and Helena Bonham-Carter as Burton and Taylor. Furious Love is a great title for this book as that is exactly what their relationship was. The authors invite us to take up front row seats to the raging arguments between them and the gloriously lusty make-ups later. The now legendary movies, jewels, costumes, drink and far flung exotic locations make this an exciting, rich biography of the pair. 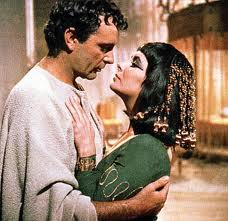 They had met in Rome in 1962 on the set of Cleopatra. Richard a great stage actor and notorious womaniser from Pontrhydyfen, Elizabeth a former child star and now leading lady. Both were already married but soon they fell into a wild affair with each other – this became known as Le Scandale and shook the entertainment world.